Thank you for your lovely letter. 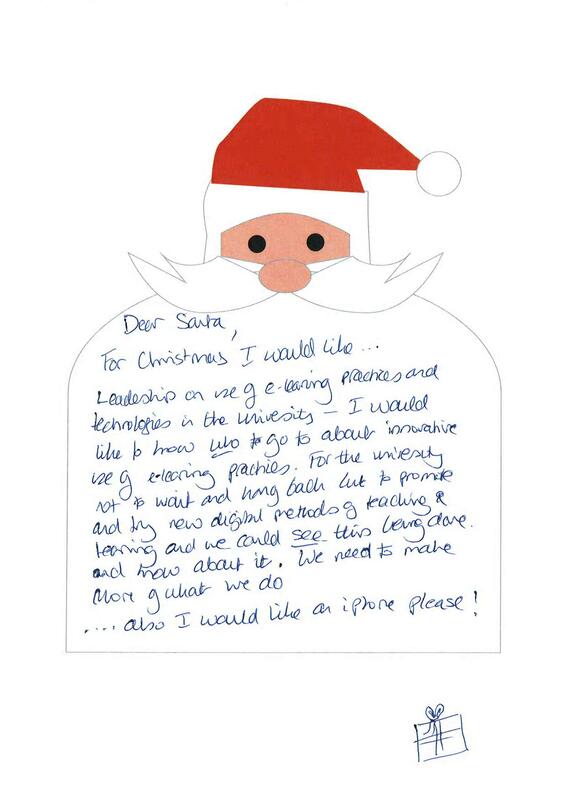 Santa says we should all be trying to share knowledge of good practice more, so others can benefit. There certainly are people experimenting with new teaching methods around the University, but it is not always easy to find them. Like you, I would like to see a more whole-hearted approach to innovative e-Learning practice, but I think it is also worth remembering that there are those who are e-averse, amongst both staff and students. This entry was posted in Digital community, Dissemination, Meetings & Events, Research and tagged Pat Parslow. Bookmark the permalink.